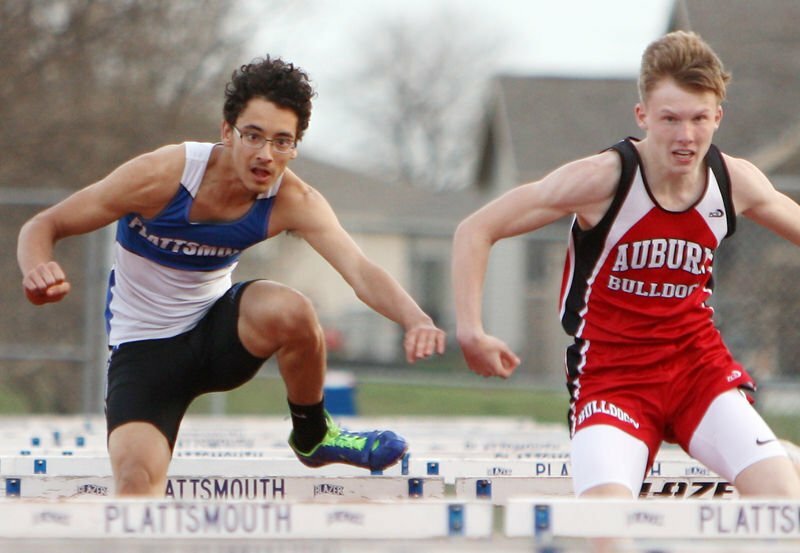 PLATTSMOUTH – Plattsmouth track and field athletes enjoyed a hometown atmosphere Tuesday during events at the Plattsmouth Invite. Teams from across the state traveled to Blue Devil Stadium for the annual meet. The Plattsmouth girls tied for sixth place with 29 points, and the PHS boys tied for eighth place with 21 points. Plattsmouth’s junior varsity boys team collected tenth place with two points. Hunter Smith highlighted Plattsmouth’s day with a championship in the pole vault. He soared over the bar at 12 feet to win the title. Dakota Minshall added a third-place result in the event with a height of 11-6. The Plattsmouth girls placed second in a pair of events. Chloe Sabatka captured a silver medal in the 400 meters with a time of 1:02.96. She then joined a 1,600 relay team that finished second in 4:22.80. Taylor Caba, Bella Chappell, Sabatka and Rachel Widick formed the relay quartet. Caba added a pair of individual medals for the Blue Devils in long-distance races. She finished third in the 1,600 and fourth in the 3,200. Plattsmouth is scheduled to resume its season next week. The Blue Devils will host the Plattsmouth JV Invite at 3:30 p.m. Monday. The varsity squad will travel to the Bennington Invite April 16. Field events are set to begin at 2 p.m. and track events will start at 3:30 p.m.